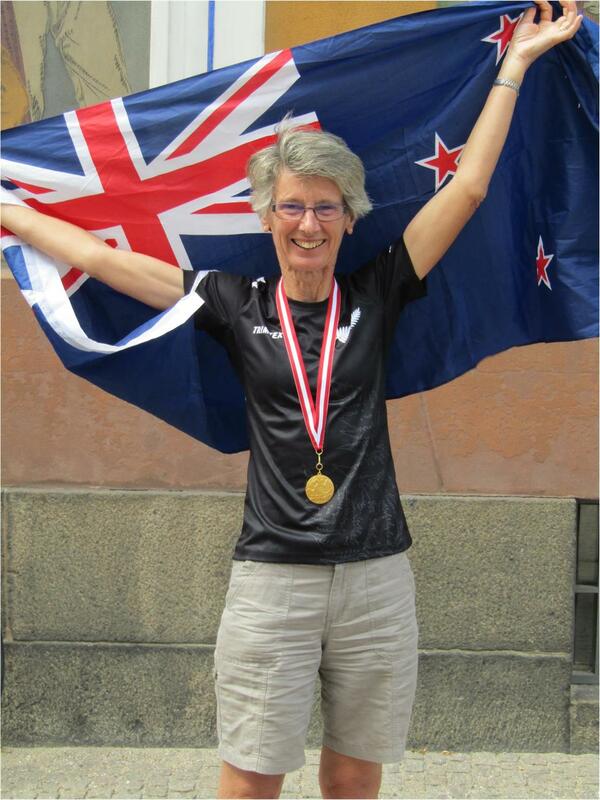 NZL has started the season of IOF World Championships with a gold medal as Gillian Ingham has taken out the W60 Sprint title at the World Masters Championships in Copenhagen. Gillian, having finished 2nd in her qualifying heat yesterday, won by 2 seconds from a Swiss runner and another 10 s ahead of a 3rd placed Hungarian. Other NZL results from the A finals were: Ross Brighouse 30= in M70, Jenni Adams 19 in W45, Marquita Gelderman 11 in W50, Val Robinson 32 in W75 and Ann Scott 8 in W80. The forest events start with qualifying on Tuesday. 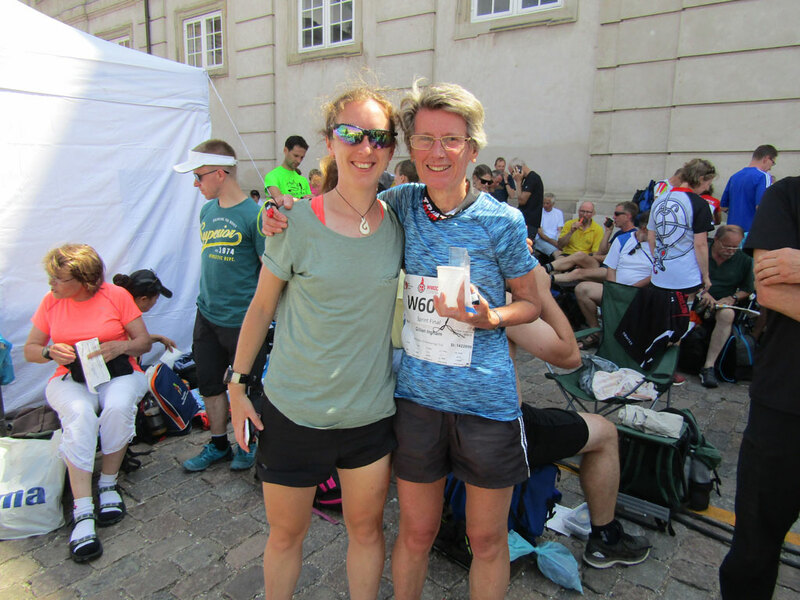 Meanwhile the JWOC team has wound up preparations in Hungary with the long distance running overnight Monday New Zealand time. 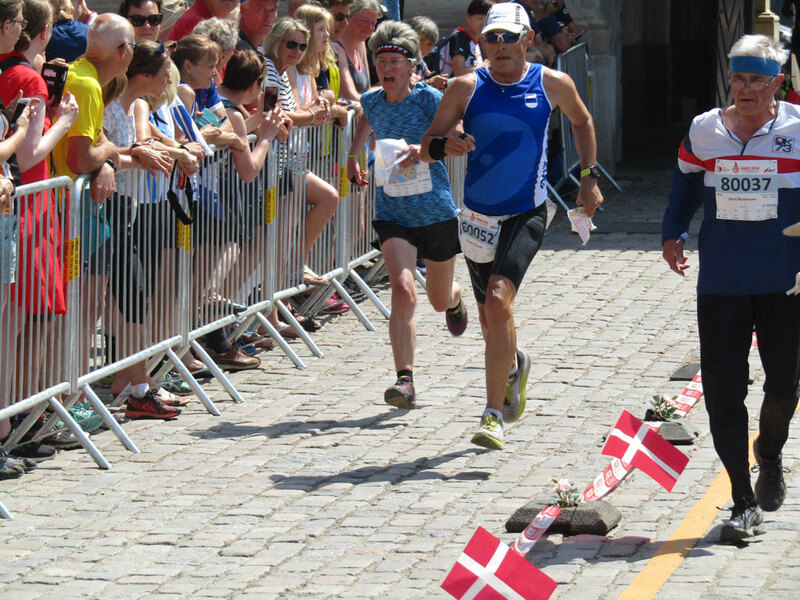 Start times Central European Time (10 hours behind New Zealand) are Meghan Drew 9:44, Marisol Hunter 10:10, Lara Molloy 11:12, Katie Cory-Wright 11:38, Jenna Tidswell 12:42, Briana Steven 12:52, Callum Hill 9:17, Will Tidswell 10:25, Max Griffiths 12:15, Cameron de L’Isle 12:35, Joseph Lynch 13:29, Daniel Monckton 13:35. Katie and Cameron will be on Live Tracking. NZL Gillian Ingham and daughter Lizzie Ingham celebrate the moment after medal winning Sprint run at WMOC2018. 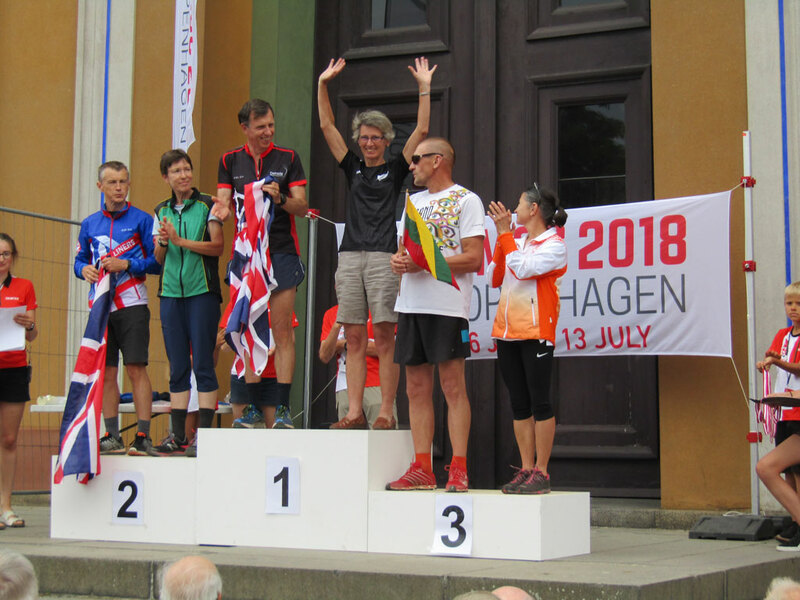 W60 Sprint Podium at World Masters Orienteering Championships 2018. Gillian Ingham was the National Controller at last years WMOC2017.